Castle Cleaning offer a first rate conservatory roof cleaning Service covering Maidstone, Ashford, Canterbury, Tonbridge, Tunbridge Wells, Sevenoaks, Faversham, Whitstable, Medway, Chatham, Gillingham, Rochester, Rainham, Folkestone, Dover, Sittingbourne and the Isle of Sheppey. 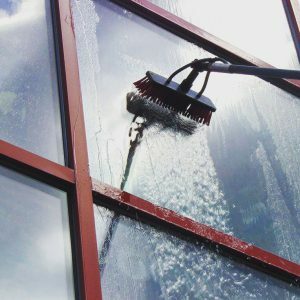 With the use of ladders and extendable brushes our Conservatory Roof cleaner technicians will soak the roof in a soil freeing chemical, this is then rinsed off the conservatory roof using a pressure cleaner on a low pressure setting. 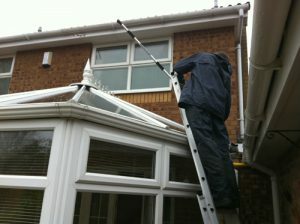 We also provide a service for a deep clean of conservatories inside and out.